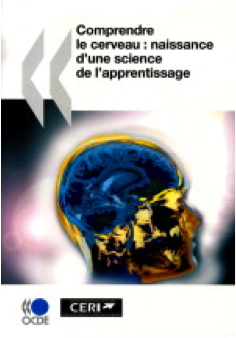 Accueil	/ Les faits en éducation	/ Quelle influence exerce la neuroscience sur l’enseignement et l’apprentissage? Ansari, D., et Coch, D. (2006). « Bridges over troubled waters: education and cognitive neuroscience », Trends in Cognitive Sciences, vol. 10, no 4, p. 146-151. Ansari, D., Coch, D., et De Smedt, B. (2011).« Connecting Education and Cognitive Neuroscience: Where will the journey take us? », Educational Philosophy and Theory, vol. 43, no 1, p. 37-42. Bruer, J. T. (1997). 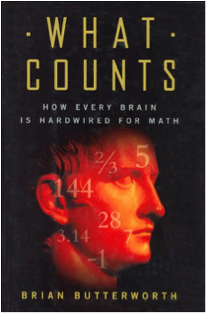 « Education and the brain: a bridge too far », Educational Researcher, vol. 26, no 8, p. 4-16. Campbell, S. R. (2011). « Educational neuroscience: Motivation, methodology, and implications », Educational Philosophy and Theory, vol. 43, no 1, p. 7-16. Campbell, S. R., et Pagé, P. (2012). « La neuroscience éducationnelle: Enrichir la recherche en éducation par l’ajout de méthodes psychophysiologiques pour mieux comprendre l’apprentissage », Neuroéducation, vol. 1, no 1, p. 115-144. Dubinsky, J. M., Roehrig, G., et Varma, S. (2013). 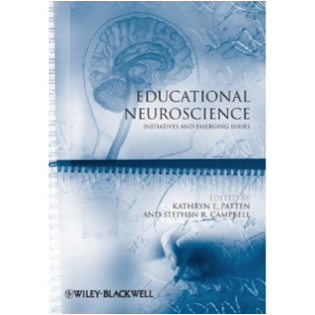 « Infusing neuroscience into teacher professional development », Educational Researcher, vol. 42, no 6, p. 317-329. Fischer, K. W., Daniel, D. B., Immordino-Yang, M. H., Stern E., Battro, A., et Koizumi, H. (2007). « Why mind, brain, and education? Why now? 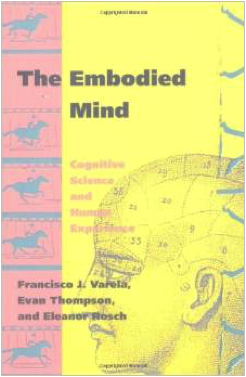 », Mind, Brain, and Education, vol. 1, no 1, p. 1-2. Goswami, U. (2004). « Neuroscience and education », British Journal of Educational Psychology, no 74 (partie 1), p. 1-14. Goswami, U. (2006). « Neuroscience and education: from research to practice? », Nature Reviews Neuroscience, no 7, p. 406-413. Hirsh-Pasek, K., et Bruer, J. (2007). « The brain/education barrier », Science, no 317, no 5843, p. 1293. Hruby, G. G. (2012). « Three requirements for justifying an educational neuroscience ». British Journal of Educational Psychology, vol. 82, no 1, p.1-23. Loo, S. K., et Makeig, S. (2012). « Clinical utility of EEG in Attention-Deficit/Hyperactivity Disorder: A research update ». Neurotherapeutics, vol. 9, no 3, p. 569-587. Pasquinelli, E. (2012). 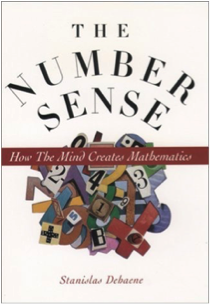 « Neuromyths: Why do they exist and persist? 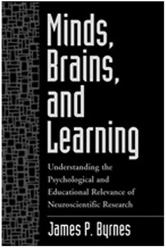 », Mind, Brain, and Education, vol. 6, no 2, p. 89-96. Rabipour, S., et Raz, A. (2012). « Training the brain: Fact and fad in cognitive and behavioral remediation », Brain and Cognition, no 79, p. 159-179. Stern, E. (2005). « Pedagogy meets neuroscience », Science, vol. 310, no 745. Schwartz, M. (2015). « Mind, brain and education: A decade of evolution. Mind, Brain and Education, vol. 9, no , p. 64-71. Turner, D. A. (2012). « Education and neuroscience », Contemporary Social Science, vol. 7, no 2, p. 167-179. Varma, S., McCandliss, B. D., et Schwartz, D. L. (2008). 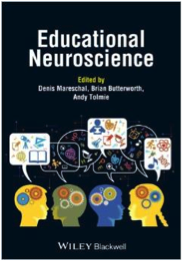 « Scientific and pragmatic challenges for bridging education and neuroscience », Educational Researcher, vol. 37, no 3, p. 140-152. OECD (2002). Comprendre le cerveau : naissance d’une science de l’apprentissage. Paris : Éditions OECD . Byrnes, J. P. (2001). Minds, brains, and learning: Understanding the psychological and educational relevance of neuroscientific research. New York: Guilford Press. Blakemore, S-J., & Frith, U. (2005). 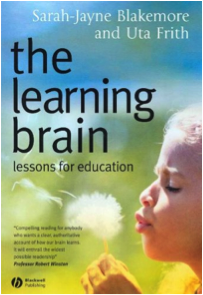 The learning brain: Lessons for education. Malden, MA. Blackwell. Della Sala, S., & Anderson, M. (2012). 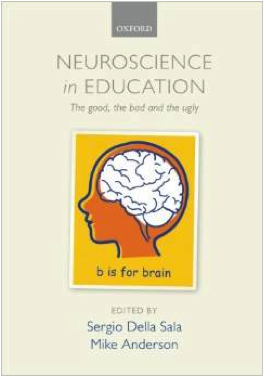 Neuroscience in education: The good, the bad and the ugly. Oxford: Oxford University Press. Howard-Jones, P. (2010). 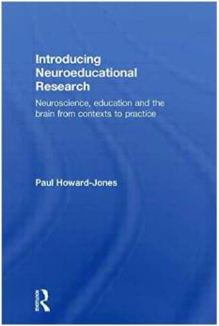 Introducing neuroeducational research: Neuroscience, education and the brain from contexts to practice. Abingdon: Routledge. Fischer, K. W., Bernstein, J. H., & Immordino-Yang, M. H. (Eds.) (2007). 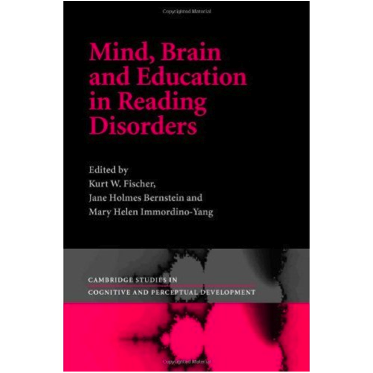 Mind, brain, and education in reading disorders. Cambridge, UK: Cambridge University Press. Mareschal, D., Butterworth, Br., & Tolmie, A. (Eds.) (2013). Educational Neuroscience. Chichester, UK: Wiley-Blackwell. Ferrari, M., & Vuletic, L. (2014). 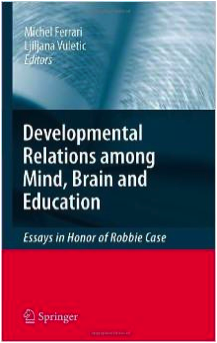 Developmental relations among mind, brain and education. Springer. De Jong, T., Van Gog, T., Jenks, K., Manlove, et. al. (2009). 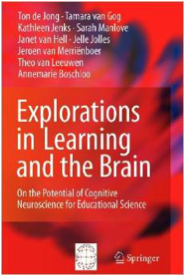 Explorations in learning and the brain: On the potential of cognitive neuroscience for educational science. Springer Science & Business Media. Varela, F. J., Thompson, E., & Rosch, E. (1992). The embodied mind. CogNet.